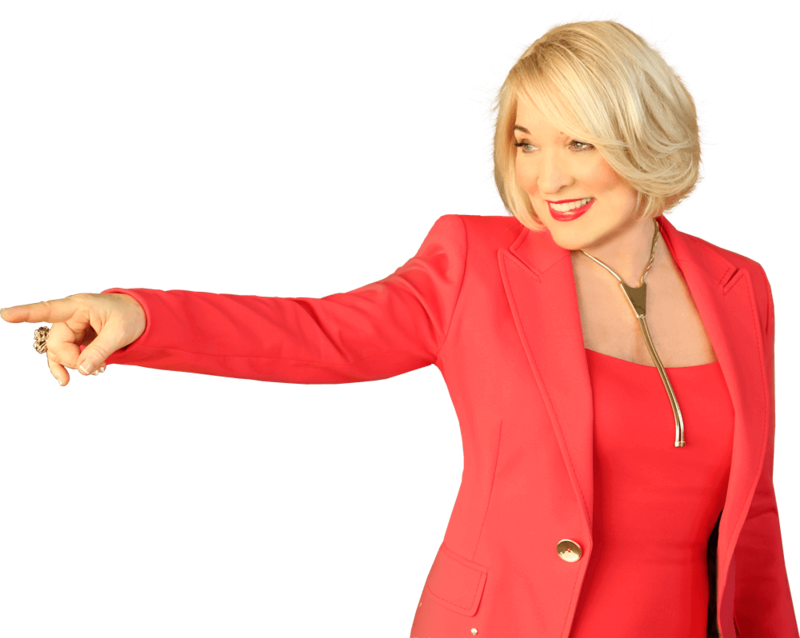 ﻿ Why You Need Salt in Your Diet | Christiane Northrup, M.D. When you were a child you were probably told that going in the ocean would help heal your cuts and scrapes faster. Or, perhaps your mother had you gargle with warm salt water to soothe a sore throat. (Today, many holistic dentists continue to recommend salt water rinses to heal inflamed gum tissues and mouth sores). Yet, there is a huge debate as to whether salt is good for the rest of your body. For example, many people are told that they need to watch their sodium intake or they risk having https://www.drnorthrup.com/new-blood-pressure-guidelines-what-do-they-mean/“>high blood pressure. In fact, sodium has long been the villain when it comes to hypertension and heart disease and stroke. The Food and Drug Administration (FDA) warns Americans to consume less than 2,300 mg of sodium per day, less than your kidneys can filter in five minutes! If you use the My Fitness Pal app, you’ll notice that it warns you if you come within 1,000 mg of the limit. Other health organizations recommend even less than 2,300 mg. But, sodium is an essential nutrient that your body depends on. And like any essential nutrient, getting the right amount is important for maintaining good health. There are a few pieces to the salt puzzle that keep people confused. One part of the confusion when it comes to dietary salt is that many people—doctors included—use the words “salt” and “sodium” interchangeably. However, they are not the same. Sodium is a mineral found in salt. Salt is a naturally-occurring compound comprised of sodium and chloride. Then there is table salt, which is created from natural salt but then is refined through a process of heating it to 1,200 degrees Fahrenheit, which destroys most of its beneficial compounds. To use the words sodium and salt interchangeably is not accurate. But, to confuse table salt with natural salt is where you get into real problems, as with any refined foods. Another area of confusion is the theory behind why salt is bad for you. The theory stating that sodium (and therefore salt) causes high blood pressure stems from the myth that when you eat salt, you get thirsty and drink more water. Your body holds onto the extra water in order to dilute the saltiness in your blood. This results in increased blood volume, which the theory suggests leads to high blood pressure. Therefore, the theory states, a low-sodium diet reduces blood pressure. However, this theory has never been scientifically supported. In fact, some studies show that salt actually helps your body conserve water and makes you less thirsty. Additional studies show that the connection between salt and high blood pressure is more complicated or even non-existent. The Framingham Offspring Study—an offshoot of the Framingham Heart Study—found that participants who ate a low sodium diet (under 2,500 milligrams of sodium per day) had higher blood pressure than those who consumed higher quantities. And, more recent studies show that there is really no link between salt intake, high blood pressure, and risk of heart disease. Despite the fact that you will probably continue to hear messages that sodium is bad for you, your body cannot function without enough sodium, and the best way to get enough sodium is through dietary salt. There are many studies that show the adverse effects of too little salt. Some of these adverse effects include insulin resistance and an increased risk of death from heart failure in patients with heart failure, plus an increased risk of death for both type 1 diabetics and type 2 diabetics. Low-sodium or low-salt diets are also associated with elevated LDL cholesterol and tryglicerides and low blood pressure (hyponatremia), which can be particularly concerning for certain populations such as athletes and the elderly. And these effects aren’t just the result of purposeful salt restriction. Low-carbohydrate diets, such as Paleo and Keto, and certain medications can cause sodium loss. And even if you don’t eat a low-carb diet, if you don’t have a healthy microbiome, you may not be absorbing enough sodium from your diet. Symptoms of sodium deficiency from salt restriction or poor salt absorption include dehydration, muscle cramps, headaches, weakness, irritability, and even cognitive decline. In addition, when you restrict salt, your body eventually will start to increase insulin to help your kidneys retain more sodium. Over time this can lead to chronically high insulin levels, a craving for sugar and refined carbohydrates, and a cycle of weight gain, insulin resistance, and even diabetes. By contrast, adequate salt intake can help you to stay hydrated, prevent muscle cramps, support a healthy nervous system and a healthy metabolism, and even help you sleep better. And, while a diet too low in salt may reduce libido in both sexes, increase erectile dysfunction in men, and reduce a woman’s likelihood of getting pregnant, adequate salt intake may support reproduction. According to the American Heart Association (AHA), the minimum physiological requirement of sodium simply to sustain life is 500 mg per day. However, in The Salt Fix, author James DiNicolantonio, Pharm. D., a cardiovascular research scientist at Saint Luke’s Mid America Heart Institute in St. Louis, says scientists have found that when people’s consumption of sodium is unrestricted, they typically consume between 3,000 to 4,000 milligrams per day. This amount holds true for people across all populations, in all hemispheres and climates, and across a range of cultures and social backgrounds. In other words, all humans gravitate toward the same sodium intake range every day. That’s because this amount of sodium intake is optimal and is driven by the hypothalamus, the part of the reptilian brain that keeps your body in homeostasis. That said, whether you need to increase your healthy salt intake depends on many factors, including your diet and lifestyle. For example, if you eat a whole food diet, you may benefit from adding more healthy salt to your diet because unprocessed, all-natural foods are low in sodium. In addition, athletes, people who sweat a lot, people who take diuretics and other medications that cause sodium loss, and people recovering from adrenal fatigue can benefit from added natural salt. However, sodium is present in high amounts in processed foods where it is often used as a preservative or a flavor enhancer—think monosodium glutamate (MSG) and “natural flavorings.” And even foods that don’t taste salty can have high amounts of sodium, including breakfast cereals and bread. So, if you eat a lot of refined foods (which I don’t recommend), you are probably already getting more than 4,000 mg of sodium per day. Adding natural salt to your diet is one of the easiest ways to ensure that you get enough sodium and other essential minerals, especially if you are active. The most common natural salts are sea salt, Himalayan salt, and Celtic salt. Each has a unique flavor and mineral composition. For example, sea salt often contains high levels of trace minerals, including potassium, iron, and zinc. It also contains small amounts of natural iodine. Himalayan salt comes from the ancient sea beds of the Himalayan mountains. It is rich in iron, which gives it a pink color, as well as 83 other essential trace elements, including magnesium, potassium, and calcium. Celtic salt is hand-raked in Brittany, France, and is gray due to the clay and sand where it is harvested. It is a moist salt that is rich in many minerals. 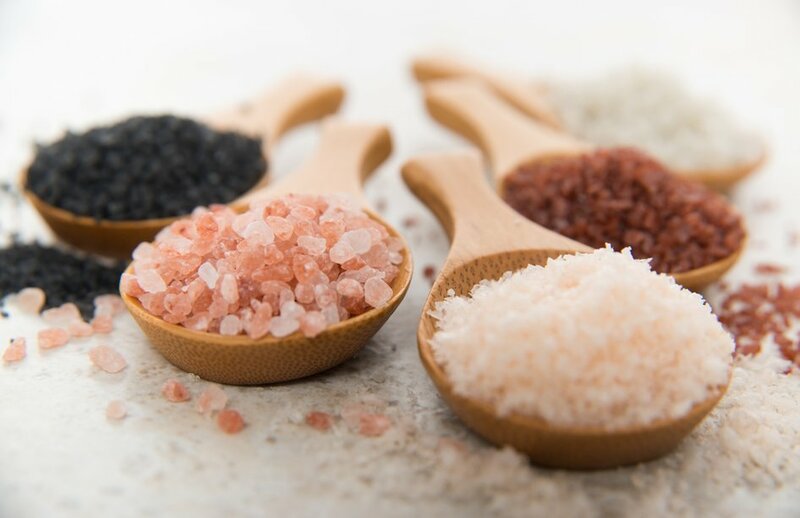 Other natural salts include black and red salt from Hawaii, and Fleur de Sel, a solar-evaporated sea salt typically used as a finishing salt. There are many more natural salts that you can experiment with, including exotic salts such as Vietnamese pearl sea salt. I encourage you to try many and use them in different ways. Salt your food. If you want to try increasing your salt intake, start by adding a little to your food. It’s a great way to improve flavor and increase essential minerals. Salt also helps to improve your digestive process by activating amylase (an enzyme that allows you to taste your food), creating hydrochloric acid to support your stomach wall, and stimulating intestinal and liver secretions to help break down food and aid digestion. Plus, salt adds a satiety factor, so it may encourage more mindful eating and even help with weight management. Drink sole water. We are often told to drink lots of water in order to stay hydrated and to flush out toxins. However, drinking too much water can cause your body to flush out minerals and electrolytes. It can also lower your metabolism. But, when natural salt and water are combined, the positive ions in salt surround the negative ions in water and vice versa. This creates a new structure, called sole, that is more absorbable. To make sole water start, by adding about 1 cup of natural salt to a jar and fill the rest with filtered water. Cover the jar with a non-metal lid and let it sit overnight. If all the salt is dissolved in the morning, add a little more until the salt no longer dissolves. (This is how you know you’ve reached saturation). Take 1 teaspoon first thing in the morning on an empty stomach. Start slowly and work up to taking 1-3 teaspoons throughout the day as you feel necessary. Track your salt intake. If you want to track your salt intake to determine what level is optimal for you, try using an app such as My Fitness Pal. Track your intake when you enter your foods and then take notes regarding how you feel, your energy level, your sleep quality, and more. After a few weeks, you’ll notice what amount of salt you need to feel good. Monitor your blood pressure. If you have been told to restrict sodium due to high blood pressure, be sure to track your blood pressure at home while increasing your salt intake. You can buy a good quality blood pressure cuff online or at a medical supply store. Be sure to speak with your health care provider before changing your diet or using any supplements, and have your blood pressure checked during your visits. Eat foods rich in potassium. It’s important to maintain the correct balance of electrolytes in order for your body to work optimally. The electrolytes that most commonly can become unbalanced include potassium, sodium, and calcium. To offset any potential imbalance while increasing salt, be sure to eat foods rich in potassium, including bananas, spinach, sweet potatoes, edamame, cantaloupe, and lentils. Listen to your body. As with any new protocol, the best way to proceed is to listen to your body. Start by allowing your salt cravings to dictate how much salt you consume and in what form, then be sure to track how you feel. Have you tried adding healthy, natural salt to your diet? What were the results? Thank you for all the wonderful information you share with all of us. I use salt every day for the noose (nasal wash). Which type of salt would you recommend for that ritual ? I have another important question. Having bronchiectasis, the lung specialist told me to take Ezytromycine, an antibiotic (3 times a week) for the rest of my life and twice a day Pulmicort !!! Me, taking medication,…. Are there better alternatives ? Thank you so much for the answer. How large a jar do you use when making the sole water? What amount of water for the 1 cup of salt? SOLE or 26% solution water..
i have been making SOLE forever.. here is an easy way..
get a quart or mason jar… put about a cup of excellent salt [ pink or celtic ] in it..
wait till next day.. if the salt has dissolved then you add more to the mix.. stir a bit and again wait.. once you do not have salt dissolving any longer it is called SOLE or 26% solution.. this concept is also found in a book called water and salt.. i forget the author’s name..
that’s it.. follow the rest of directions form dr northrup.. Thank you Dr Northrup for making sense of so much data and your guidance. I am very grateful for you. Is a teaspoon of salt measured the same regardless of the crystals size when substituting sea salt for table salt? I now stay away from sea salts because it has been found that it contains micro-plastics. You may want to research this. I use the pink Himalayan and Redmond’s real salt both from ancient salt sources before plastics. Cheers to your research! Thank you so much for the wonderful feed back.. What type of salt would you recommend for my daily nose rincing? Happy thanksgiving! *Your Salt Article is Great! I’ve been a fan of yours for many years and I trust you and your words of wisdom. The article ” Why you need salt in your diet” is a blessing in disguise for me. I am 67years young and recently was diagnosed with Osteoporosis. Ouch! Who would have thought? I also have high blood pressure and have been prescribed medication. Both conditions I am not happy about but life goes on. Thanks again for making my day in my world! My 98 year old mother (101 lbs) has lymphedema in her legs. On occasion they even weep. Usually knee high compression hose help control the swelling but on occasion I wrap them for her. Her Dr has, of course, told her ‘No salt’ so we work hard to eliminate it from her diet – which is not always totally possible, but we try. The only medication she is on is for bladder control: toviaz at night and bumetanide in the morning. Can I consider natural salt for her? Thank you, Dr. Northrup. I do appreciate your books and blogs. You’ve ‘open my eyes’ all way back to the 1980s when I read one of your books. I’m still reading them. It’ safe to say it’s not the salt (uncorrupted) it’s the sugar. With gratitude. Do you recommend using iodized salt? I have hypothyroidism and I’m trying to get enough iodine in my diet. Dr Christiane Northrup ,your article on sodium consumtion is absolutely right! You have a great insight in today’s mistaken medical advices! They are thousends of it. 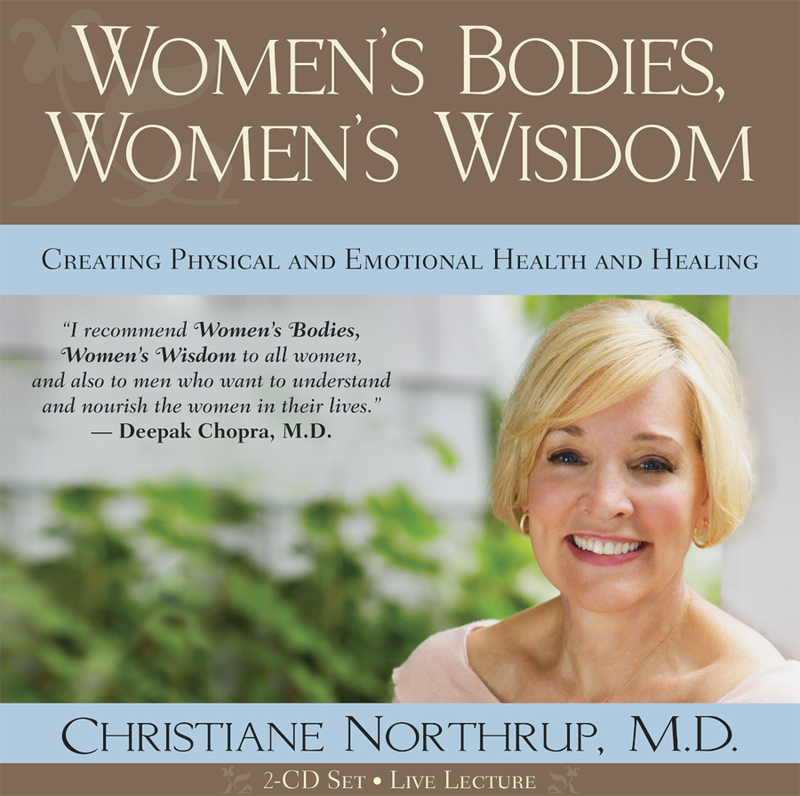 I love to read your advice regarding any topic you touch it,you go deep in and analyze it and the best of the truth comes out from it.I think you are one of few visionary pioneer not just in the field of women’s health but in all health issues too. It is my great priviledge knowing you.